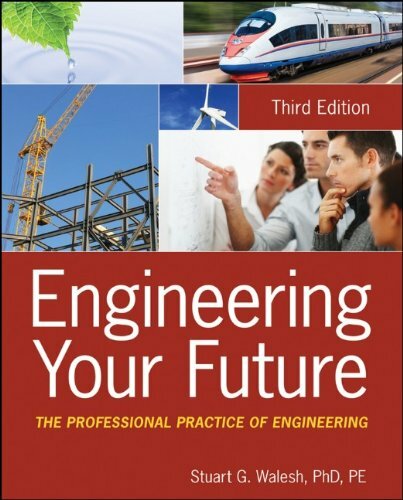 Engineering Your Future focuses on the non-technical aspects of professional practice and is designed to be a valuable textbook for engineering and other technical program students, as well as a practical reference book for young technical professionals. With respect to students, this book supports the Accreditation Board for Engineering and Technology (ABET)s Engineering Criteria 2000, as well as ASCE's current BoK and ASME and AIChE's work on their own BoK's. This updated edition includes new coverage of presentation methods, marketing skills, team building exercises, business accounting, and quality control/quality assurance. The New Work Environment: Culture Shock? Start Writing on "Day 1"
Selecting Co-Workers and "Managing Your Boss"
Objectives - What Do We Want to Accomplish? Scope - How Are We Going to Do It? Risks - What Could Go Wrong? Deliverables - What Will We Provide to the Client/Owner/Customer? Milestones/Schedule - When Will We Provide the Deliverables? Tasks - What Tasks Need to be Done and in What Order to Provide the Deliverables? Resources/Budget - How Much Will the Project Cost? Directory - Who Will Participate? Communication Protocol - How Will We Collaborate? Monitoring and Control Procedure - How Will We Know How We Are Doing Relative to the Project Plan? Quality: What Is It and How Do We Achieve It? The Words "Engineer" and "Create"
What Gets Constructed and How? What Gets Manufactured and How? The Balance Sheet: How Much Is It Worth? The Multiplier as an Indicator of Cost Competitiveness? Why Retain a Consultant? Let's Do It Ourselves! Consider Your View of Marketing: Are You Carrying Some Baggage? After the Knowledge Age, the Conceptual Age? After The Knowledge Age, the Opportunity Age? After The Knowledge Age, the Solving Wicked Problems Age? Define the Situation: What, Why, Who, How, and When?